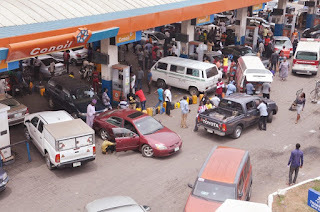 The Group Managing Director (GMB) of Nigerian National Petroleum Corporation (NNPC), Dr. Maikanti Baru, has said the corporation has doubled the daily supply of Premium Motor Spirit (PMS), from 700 trucks (about 27 million – 30 million) litres per day supply to 80 million litres per day. Baru spoke before the signing of a Memorandum of Understanding (MoU) between the corporation and Benue State on the Agasha-Guma Bio-fuels Projects in Abuja. The corporation, in a statement, said the NNPC GMD attributed the hiccups in the supply of PMS to rumours about purported planned increase in the price of petrol. He added that the NNPC has enough products sufficiency that will last up to 30 days.